When it comes to electrical work, precision is key. Our services span the smallest of tasks to the largest and most complex projects. Fine-tuned planning and internal scheduling processes allow us to work on multiple projects at a time. In the end, it’s all about quality and precision. You’ll see it in everything we do. High Voltage / Low Voltage. Thinking smartly about your electrical needs during pre-construction can save a tremendous amount of time—and money—in the long run. 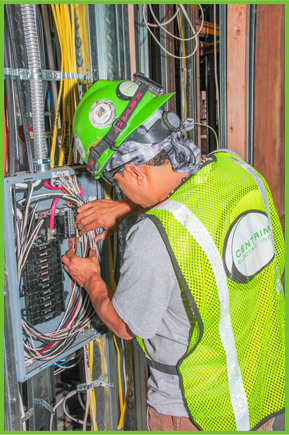 Our electricians and engineers provide reliable design-build assist services so that you can better plan the construction of your project. Working together, we’ll identify inefficiencies and recommend greener, more cost-effective solutions. You’ll also notice faster project completion times and even decreased costs. 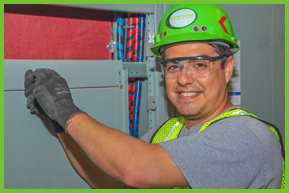 We think about your project holistically—how the people who will live, work, and play in it will use it daily and how our contributions on the electrical front will keep it functional, safe, and energy-efficient for years to come. Your engineer hit the mark on your plans, but when it comes to the reality of the situation, the cost of what looked great on paper ends up being astronomical to execute. That’s where our Value Engineering expertise comes in. 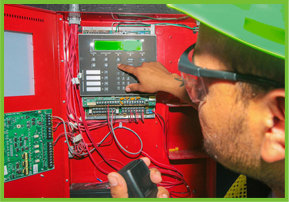 Honoring the specifications of your engineer, our team will recommend alternate equipment and install processes that achieve the same functionality and/or aesthetic, but that can actually save you money— without compromising quality, project integrity, or safety. Enhanced performance, reduced costs. That’s true Value Engineering, the Centrim way.